this week i was met with a very difficult decision to make…GIN or WHISKEY? well, i made it easy on myself and chose both! for this particular recipe i recommend gathering a few friends around a table of snacks and maybe a game of uno and sip til your heart’s content. ps. although crumble would imply there is some sort of sweet crispy cake topping, there is no such thing. the crumble is what will happen to you if you drink too many of these. so, good luck! • first you need to make the aforementioned honey syrup. • heat 1 cup honey and 1 cup water in a pan, stirring until it simmers then remove from heat. once cooled you can pour it into a cute jam jar or glass bottle and store in the fridge. • and shake, and shake, and shake, and shake! • disperse this beautiful purple concoction equally into the four glasses. i chose whiskey cause i like the kick, but gin is still a totally respectable choice. heck, if you are looking for something even lighter, just forgo the G or W. it’s still super duper delicious. Yowza! 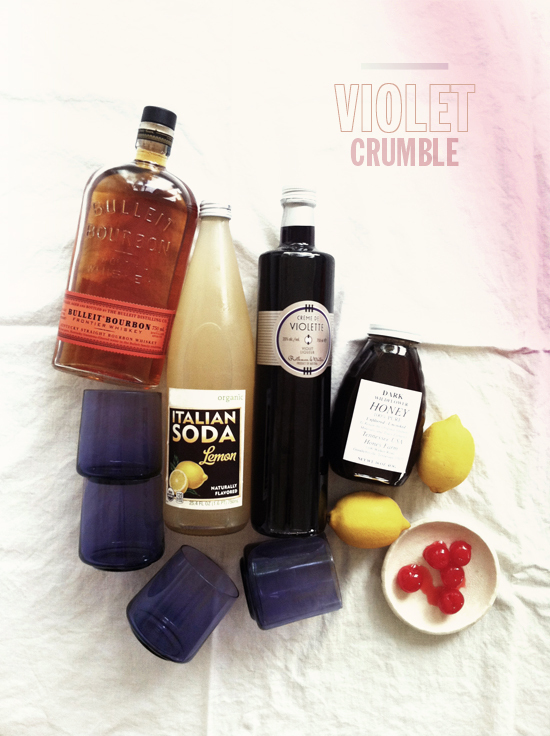 This drink deserves the name ‘Crumble’…sounds delicious and certainly packs a punch. wow you’re a brawdy girly girl…gin or whiskey?! yumm! 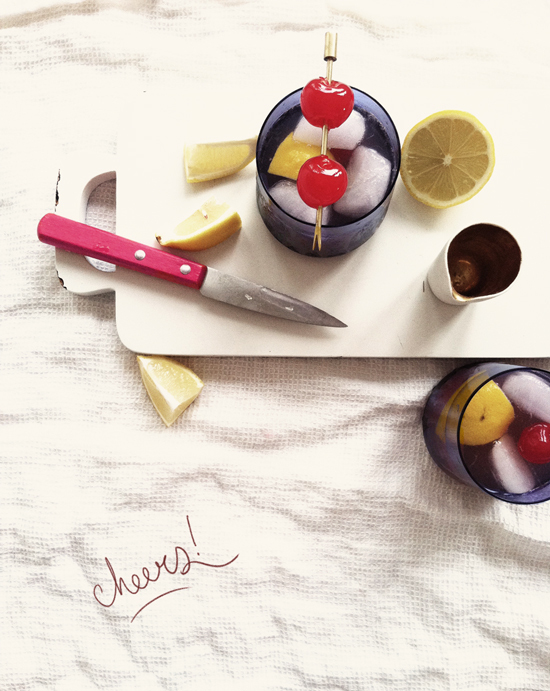 this looks delicious and is the perfect drink for our unusually dark & stormy LA weather! thanks for sharing!! PS: i have one question: how to add button ,,pin it” to images in posts? I am coveting those glasses – where did you get them? ps: My husband and I are big fans of Plymouth gin; without a doubt, the smoothest gin I have ever had!!! Nice recipe and packaging on your ingredients! We designed the Fresh&Easy Italian Sodas! Cheers!